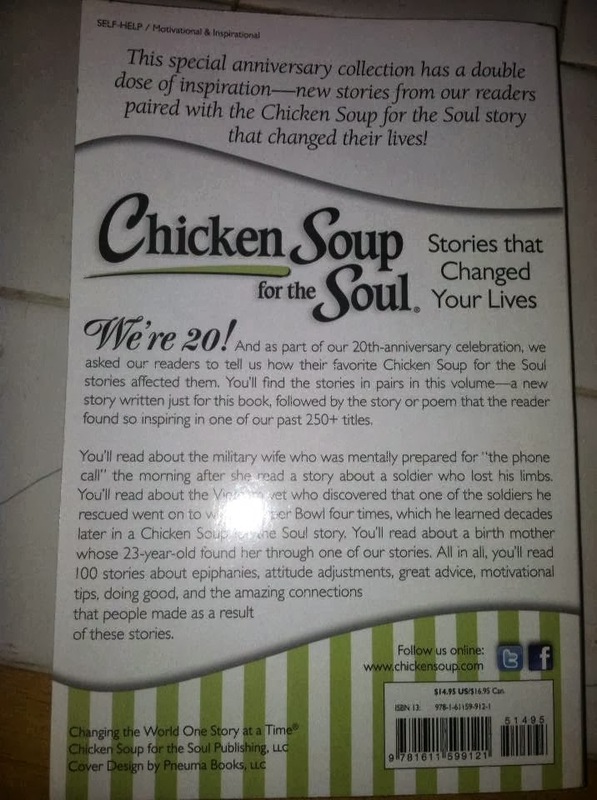 Did you know that Chicken Soup for the Soul turned 20 this year? 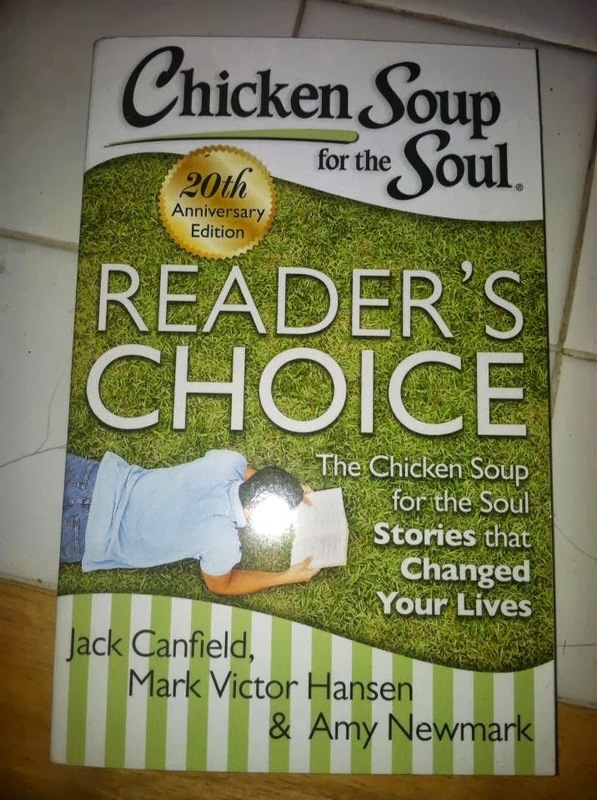 To celebrate their "birthday" they put together this special edition of Chicken Soup for the Soul called "Reader's Choice." As a Chicken Soup for the Soul blogger, I receive new books and they are some of my favorite! What is extra special about this collection, is it is form the reader's themselves. As an avid reader of the Chicken Soup for the Soul books, I felt that was really special. 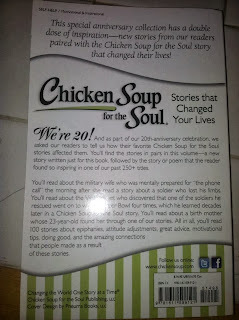 Each story talks about how a Chicken Soup for the Soul story touched a reader's life and influenced them. As you can imagine, after 20 years, many people had many stories, and it is impossible to pick a favorite! I know you will enjoy this book if you enjoy the Chicken Soup for the Soul books as much as I do. As a mom, they are such a good, pick-me-up reader, and each story takes such a short amount of time that you can read them on the go! MamaBreak receives books from CSFTS to review and share with our readers. We do not receive any other type of compensation. As always, our experiences and opinions are our own. 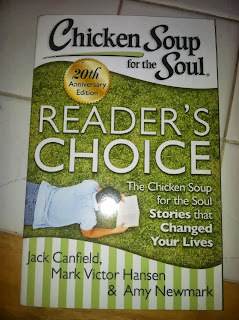 Want to win your OWN copy of Chicken Soup for the Soul: Reader's Choice? Enter Below! I like that there is something for everyone to relate to. They are written usually by everyday people who touch on things that we can all find something that has meaning to us. Full of short, practical, easy to remember sayings to encourage. I love these books because they are written by down-to-earth people who bare their souls and share their lives with us. I love how relatable they are. I always forget how much I love Chicken Soup for the Soul books until I pick one up. I can never put it down. The stories are so compelling and touching. They're great for everyone. I love how inspirational they are. I love reading how others have overcome major obstacles. Theres a mixture of happy and sad in the books. I like that the stories are inspirational and uplifting....it's nice to read something positive.